SAMBRA Western Cape Members are invited to participate in the shaping of the SAMBRA Mandate for 2019. This is your opportunity to be a part of "Industry Solution". The meeting takes place on 26 November 2018. 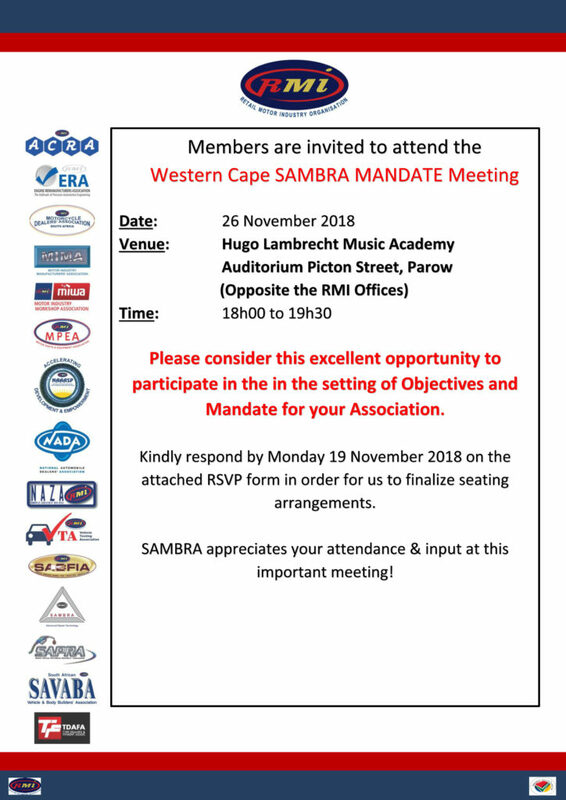 Full member attendance is essential, and your participation and input will play an important role in contributing to SAMBRA's strategic objectives for 2019 and beyond. NATIONAL MEMBERS: Please watch out for your regional dates for upcoming mandate meetings. CLICK HERE to download the RSVP & Booking Form.